A lot of people that I know love sushi. I'm not one of them. Every once in a while I crave it. For the most part it never crosses my mind. I don't know why either. I'd rather take nori and throw it on top of a big salad or something. But I was in the grocery store today after work and felt the need to create some sushi goodness. This is simple, crunchy, and nutritious. 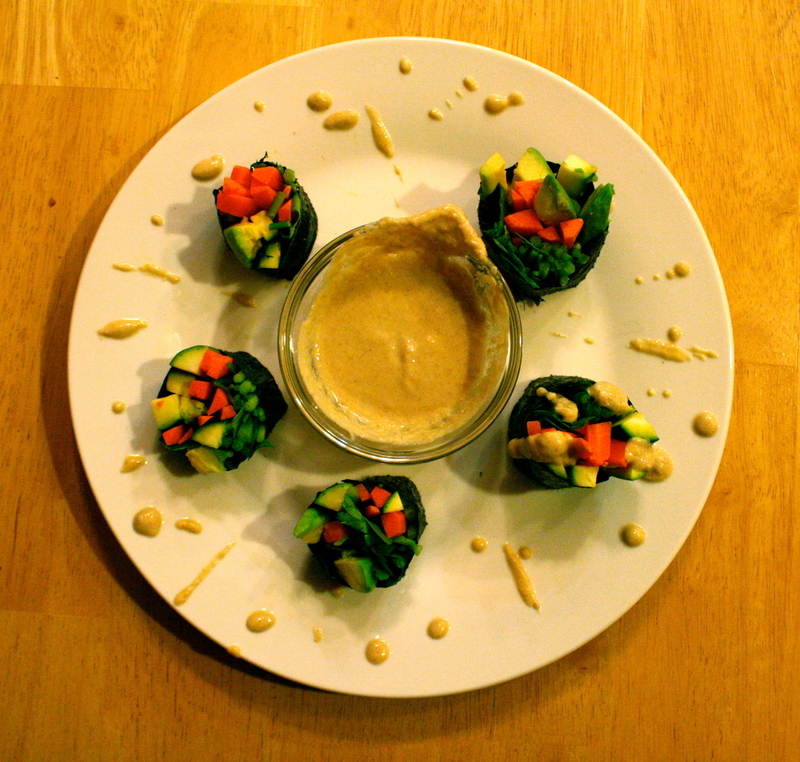 Carrots, cucumber, spinach, and avocado paired with a creamy tahini sauce. Mmm. Go make these now. Cut the carrots, cucumber, and avocado into long strips. Place sliced veggies and spinach onto nori sheets. Roll up tightly (you can do it! ), cut into "sushi sized" pieces, place on plate. Now to make the sauce. Mix all ingredients together. It's as easy as that!